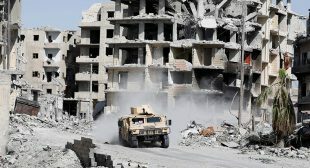 Moscow baffled by American and French statements over US-led coalitionâs ‘decisive role’ in defeating Islamic State in Syria. “Our Western partners have been saying in the recent days that it was not Russia but them, the coalition, who defeated Islamic State in Syria,” Zakharova wrote on her Facebook page, especially calling out the Le Drian statement. “Dear Sirs, stop it! Your successes are in Iraq, Libya and Afghanistan. You should be proud of them,” she sarcastically pointed out.